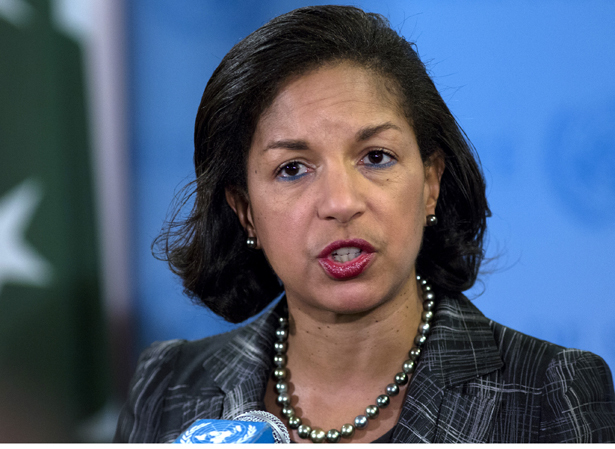 WIll Obama be swayed by Susan Rice and Samantha Power? Tom Donilon, President Obama’s national security adviser, is out, and Susan Rice is in. Along with Samantha Power, who’s taking over at the United Nations, the new Rice-Power axis will likely mean a much greater emphasis on human rights in foreign policy—which could vastly complicate US relations with Russia, China and Iran. Serving in that post since October 2010, when he replaced former General Jim Jones, Donilon has played a critical role in shaping Obama’s foreign policy since then, usually joining Obama and Vice President Joe Biden on the relatively dovish, anti-interventionist side of the fence—often ranged against the Pentagon, the military brass, and former Secretary of State Hillary Clinton on the hawkish end. Bob Gates, the Republican centrist-hawk who was Obama’s secretary of defense—a carryover from the George W. Bush administration—famously said that Donilon would be a “disaster” if he were elevated to the post of national security adviser, because Donilon wasn’t echoing the military’s view about continually escalating the war in Afghanistan. More recently, Donilon lined up with Obama and Biden in opposition to direct US involvement in the civil war in Syria, and Donilon reportedly backed Obama’s decision to speed the withdrawal of American forces from Afghanistan in 2013–14 and to minimize the US presence there beyond 2014. Among Donilon’s recent important efforts have been his travels to Russia, where he tried to rebuild ties with Moscow, and China, where he helped to arrange the critical summit between Obama and President Xi Jinping of China this weekend in California. Perhaps Donilon’s biggest blunder—or at least, his worst move—was to bring Dennis Ross, a strongly pro-Israeli hawk and ally of neoconservatives, into the White House. Several years ago, I listened to Donilon as he spoke to the Washington Institute for Near East Policy (WINEP), the Israel lobby’s chief Washington thinktank, as he praised Ross—who’s now a WINEP official, once again—and boasted that he’d helped bring Ross into Obama’s inner circle. No wonder, perhaps, that the Israel-Palestine problem is where Obama has made the least progress in any of the foreign policy challenges he faces. But now it’s worrying, to say the least, that Susan Rice is taking over at the NSC. That’s made worse by recent reports that Obama will name Samantha Power as Rice’s successor as US ambassador to the United Nations. Both Rice and Power, though they lean liberal, are humanitarian, interventionist hawks. Both Rice and Power backed Clinton two years ago in supporting the months-long American bombardment of Libya, an action that toppled Muammar Qaddafi but ushered in chaos and a militia-dominated, semi-failed state there. They represent a dangerous flank of the liberal establishment in American foreign policy circles, interventionists who believe that every mass killing, or threatened mass killing, borders on potential genocide a la Rwanda. Both supported US bombing of Sudan during the much-inflated crisis in the western Sudanese province of Darfur, for instance, and they claimed that the military assault that Qaddafi planned against Benghazi in eastern Libya was impending genocide, when there was no evidence whatsoever that the Libyan forces were planning to anything more than recapture a city that had been seized by rebels. Power, who wrote A Problem from Hell: America and the Age of Genocide, is a staunch advocate for using American military power abroad in defense of human rights. She served on the NSC staff until earlier this year, as Obama’s chief human right aide.